D I S H Y #1 || "Oh my doesn't that just look so dishy." Welcome to a new feature on my blog: every Wednesday, I will aim to post my favourite Dish of the Week [either out or homemade]. For the first edition, I am so so happy to introduce to you guys this marvellous dessert I had over the Easter long weekend. 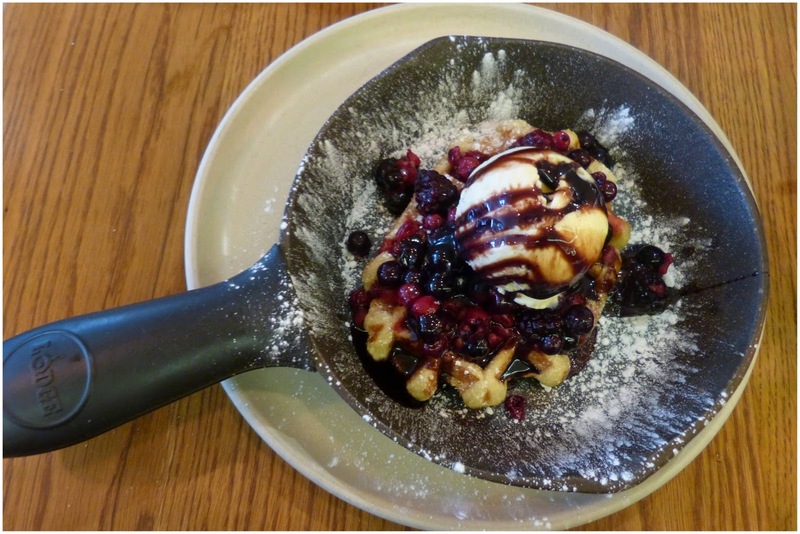 MOVE OVER CHOCOLATE and enter the all-mighty, all-sizzling [in it's hot pan], all-fruity-and-delicious Warm Berry Waffle with summer berry compote and vanilla dairy ice cream made by the lovely people at Wildwood Kitchen. There's one in Covent Garden, go enjoy, you're welcome.